The Elevator™ is a unique boost pedal with a high level of customization to match your playing style with any guitar, amplifier or pedal chain. 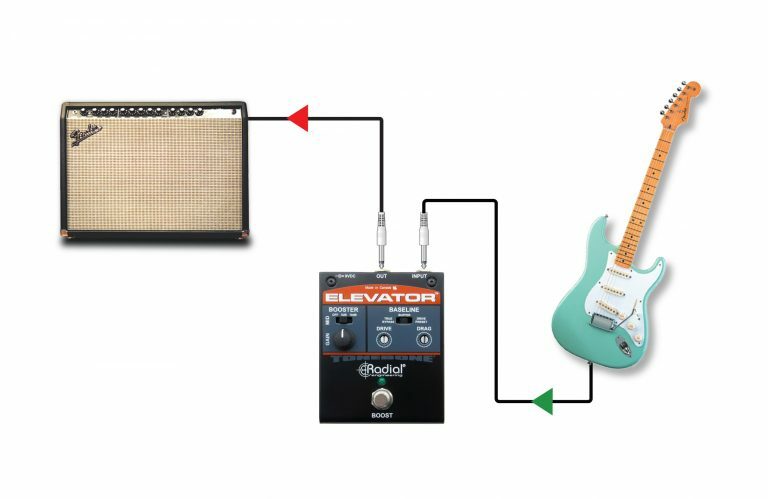 The Elevator doesn't just provide a clean boost, it also features a host of useful controls that provide the ability to customize your tone. 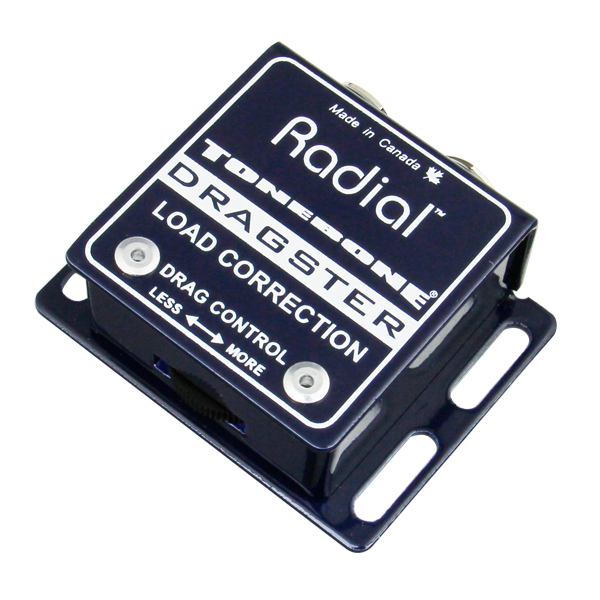 Drag Control load correction on the input helps retain the natural tone of the instrument, and replicates the feeling of being connected directly to a guitar amp. 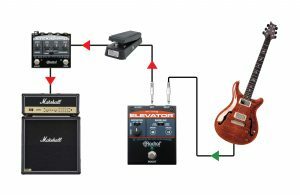 When the boost switch is not engaged, the pedal can be set to true-bypass for tone purists, or a pre-boost gain stage can be activated to drive the front end of your amp harder, reserving the main boost function for soloing. 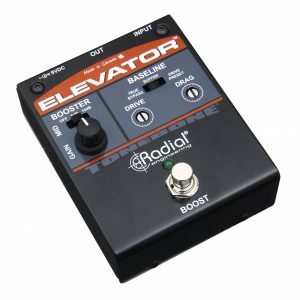 The Elevator delivers 18dB of clean boost with incredibly low distortion and phase deviation, and a mid-boost switch can be simultaneously activated for added sustain. 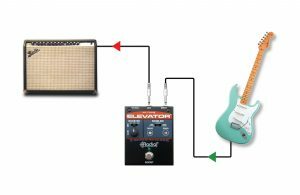 Set the Elevator's baseline drive with a bit of extra boost to drive the front end of your vintage amp for more harmonics and bite. Hit your amp hard with the booster with mids for soloing. 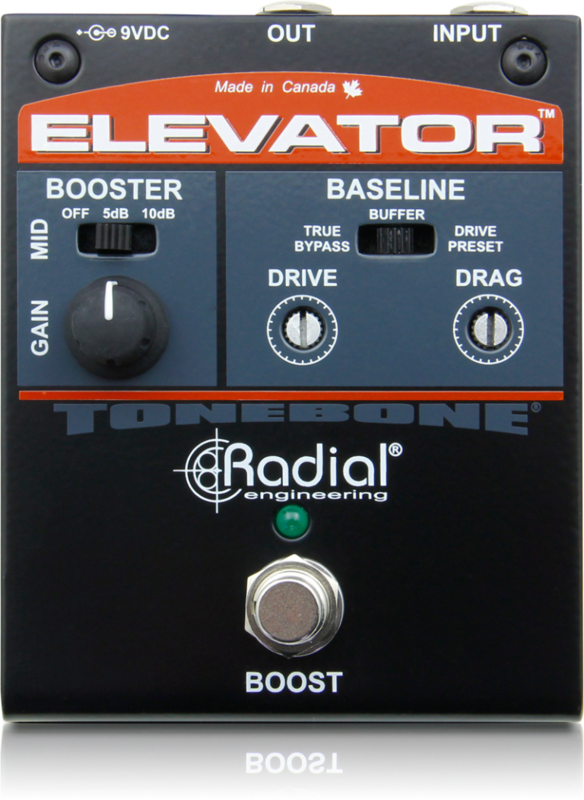 Set your overdrive pedal to your favorite crunch tone and then use the Elevator to hit it harder for more drive. Add mid range or combine with a wah set half-way to approach Bryan May's unique tone. 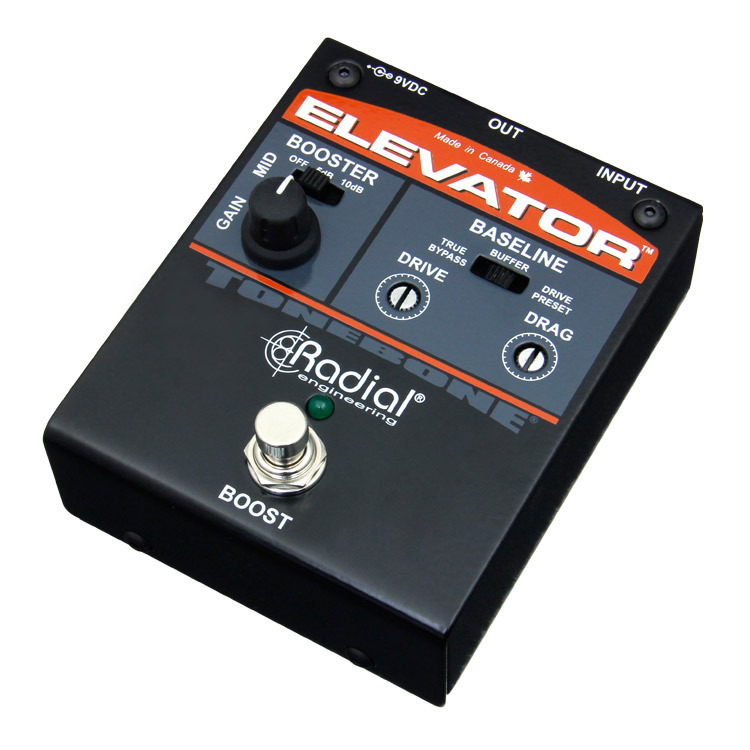 Set your amp with distortion and then add sustain and controlled feedback by using the Elevator's power booster and extra mid boost when you need it. The clean boost will retain better note clarity. 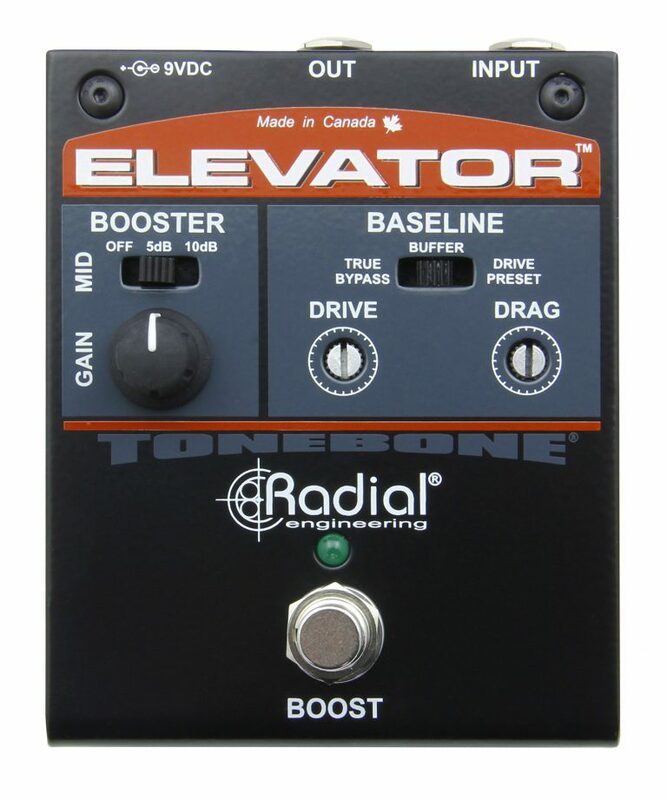 "The Elevator is one of those pedals that you might not think you need, but will quickly wonder how you ever lived without it. The amount of boost has a very nice sweep, offers clean volume increase, and is great for helping you stand out in the mix, especially with the additional midrange boost options." "The good folks at Radial have built their company around producing ingenious all-in-one utility solutions for musicians' and recording engineers' common applications. 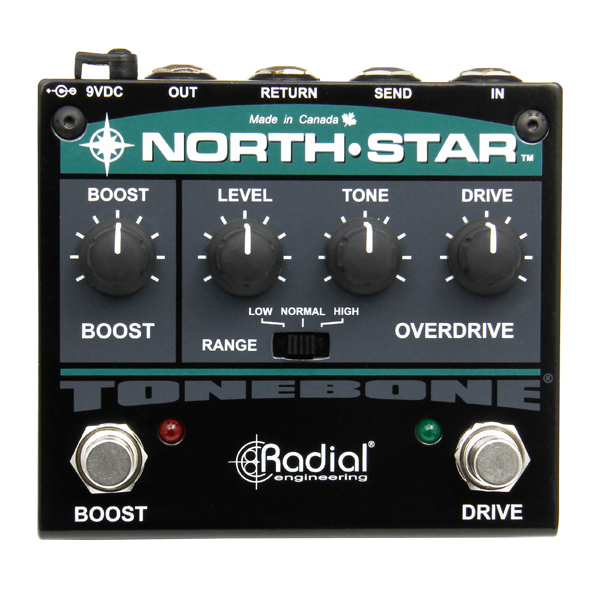 Now they have introduced a stomp box that combines clean and midboost functions along with several useful features that let guitarists dial in tonal perfection with optimum, professional quality signals levels." 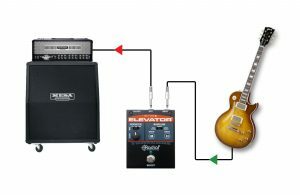 "The Elevator is now THE boost pedal in my touring rack. It's absolutely great. 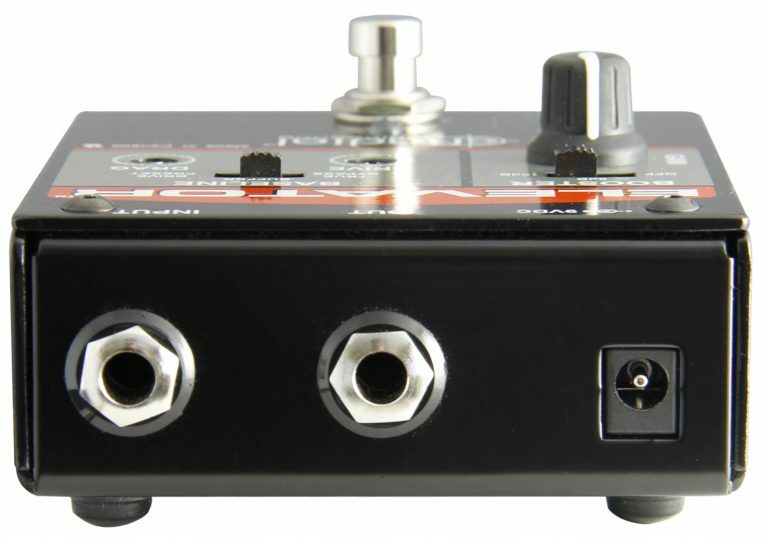 Very flexible sonically... the perfect solo boost pedal." "I keep my Elevator right at the end of my volume pedal, so I can quickly switch the boost on and off. 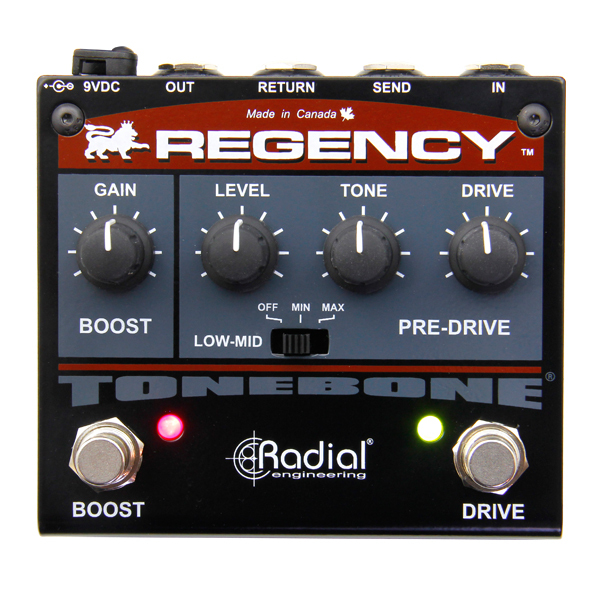 It's become my go-to pedal, I've gotten to where I sometimes turn it on for short passages (as well as solos) for just that little bit of presence. 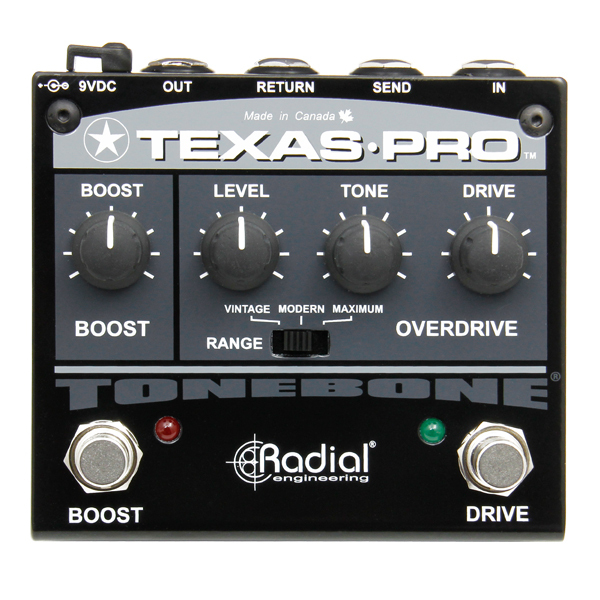 And being able to optimize the sound of different guitars with the impedance control on the front end insures I'm always getting the best tone possible. LOVE IT!" "YES! I wanted a clean Strat tone with more sustain, but retaining the inherent sparkle and shimmer of the guitar. 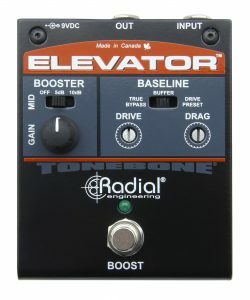 The Elevator worked perfectly as a boost and made the sum of the parts better than anything on its own."